By an arithmetical quirk, contractors in the higher or top-rate tax bands with dividend income of less than around £22,000 or so will actually gain from the so-called ‘raid’ on dividends at Summer Budget 2015, writes Neil Graham, contractor client services partner at BKL. Significantly worse off, or just worse off? But virtually every other contractor will be worse off. In particular, if you operate your business through a company and you remunerate yourself by taking dividends rather than remuneration, you are likely to be significantly worse off. 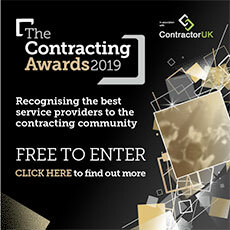 Fortunately, this piece for ContractorUK will outline the potentially numerous options you may have to soften the blow. At present, an individual contractor whose income consists of a salary of £7,500 and £80,000 of dividends can expect to pay tax of about £12,000. From April 6th 2016, the tax goes up by over a third to almost £16,500. So what can be done to mitigate this? The first thought may be to wonder whether, with the increased rate of tax on dividends, it will still be worth taking money out as dividend rather than salary once the changes kick in. The clear answer is yes: it is. Because of the impact of National Insurance Contributions (both employer’s and employee’s), substituting salary or bonus for dividend would increase the tax cost in the example quoted above by over £8,000. Bring forward a dividend before April? A second idea that might spring to mind would be to accelerate voting of dividend to before April 6th 2016 and avoid the extra tax charge (leaving the dividend outstanding on loan account, of course, to be drawn down in future years). In a small number of cases this may be worthwhile: but great care is needed. For example, on the example we have given, the tax saving in 2016/17 from accelerating say £40,000 of dividend would be more than wiped out by the fact that the additional income for 2015/16 would take you over the level at which personal allowances are withdrawn. And accelerating larger amounts will soon move you into the highest rate of tax which, again, will defeat the point of the exercise. But there are two circumstances in which accelerating income into 2015/6 may give a worthwhile overall saving. The first is where you are already paying tax at the highest rate and expect to continue to do so in future years. For example, if you are drawing dividends of £200,000 a year, you may save £15,000 in tax by voting an extra £200,000 in the current year and reducing dividends by £50,000 in each of the next four years. The second is the special case where your dividend income runs at around £110,000 per year. Accelerating up to £35,000 of dividend from 2016/17 into 2015/16 may afford tax savings of around £5,000 because of the interaction of a number of tax factors at this level of income. In each case, of course, it is necessary that your company should have sufficient distributable reserves to vote a large enough dividend and that the cash to pay the tax on the accelerated dividend can be found. Keep in mind; there really is no alternative to careful modelling of all the tax effects before deciding on an accelerated dividend. If you own premises from which the company operates, or even if you work from home for all or part of the time, consider making an appropriate charge to the company. If set at a market rate the charge should be fully tax-deductible for the company and (unlike remuneration) will not give rise to a charge to NIC. Similarly, if you have a positive director’s loan account with the company – perhaps arising from accelerated voting of dividend left outstanding on loan account – it will be perfectly acceptable for you to charge an appropriate rate of interest. More drastically, consider extracting cash by selling assets to the company: investment properties, perhaps. There is Stamp Duty Land Tax to consider as well as the possibility of personal Capital Gains Tax: but it may well be the cheapest way to extract significant amounts of cash in the short term. Finally, if you are typically drawing from the company substantially the whole of the profits which it makes, the additional tax on dividends may make you think about disincorporation and becoming a sole trader or partnership. Again, this needs careful consideration. At most levels of profit, the tax payable will (from next April) be very similar regardless of whether you trade through a company and remunerate yourself with dividends, or whether you trade as a sole trader. But in some cases, notably where disincorporation does not itself create significant tax costs; it could be an option to consider. Whichever of the options outlined in this piece seems suitable for you, we would recommend that you consult a qualified tax specialist in your sector before proceeding.